Imagination is essential, but if it stops with imagination, then what good was it? Ryan Holiday is a writer and media strategist. He is the former director of marketing for American Apparel, and his creative agency, Brass Check, has advised clients like Google, TASER, and Complex, as well as many prominent bestselling authors, including Neil Strauss, Tony Robbins, and Tim Ferriss. He is the author of five books, including The Obstacle Is the Way, Ego Is the Enemy and The Daily Stoic. The Obstacle Is the Way has been translated into more than twenty languages and has a cult following among NFL coaches, world-class athletes, TV personalities, political leaders, and others around the world. He lives on a ranch outside Austin, Texas where he does his writing and work in between raising cattle, donkeys and goats. 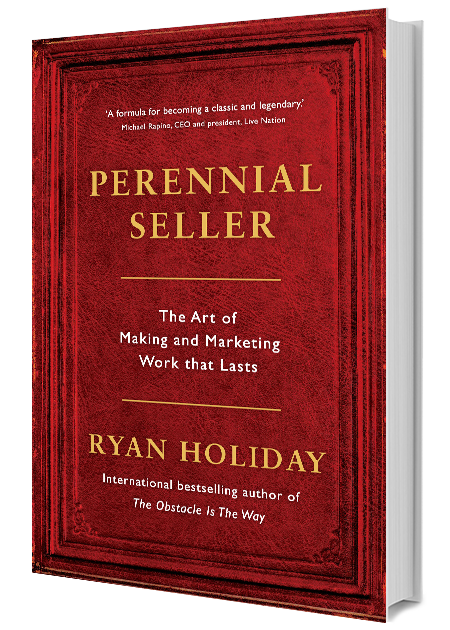 Sign up for Ryan Holiday newsletter, and more.